The Ruya Foundation, the commissioning organisation of the Iraq Pavilion at the Venice Biennale, has recently announced the featured artists for its 2017 exhibition. Sadik Kwaish Alfraji is represented in the multigenerational show with a new commissioned series. I am The Hunter/I am The Prey explores the dual nature of experiences such as love, which Alfraji views as a form of hunting. Using references that span the history of civilisation and include everything from language to ancient warfare, Alfraji details this aspect of the human condition in drawings, a video animation, and ready-made objects. Alfraji's inclusion follows his participation in the collective exhibition In the Eye of the Thunderstorm: Effervescent Practices from the Arab World & South Asia, a collateral event of the 2015 Venice Biennale that was curated by Martina Corgnati for Contemporary Practices Art Journal. This year he will appear alongside a diverse selection of artists, including the late pioneering painters Jewad Selim and Shaker Hassan al-Said. The 2017 Iraq Pavilion explores the concept of ‘archaic,’ as it is understood in relation to ‘a fragile political entity and an ancient cultural heritage,’ emphasising how Iraqi artists have negotiated the legacy of its ancient culture in light of the restrictions and opportunities that the county has presented over the course of its fifty-year fall into political turmoil. The exhibition will also include ancient artifacts that ground this theme. Rounding out the exhibition is the inclusion of Mexico City-based Belgian artist Francis Alÿs, who will create new work inspired by his recent trip to Northwestern Iraq. 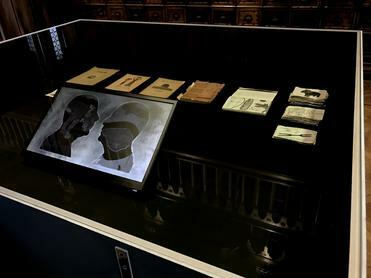 Image: Installation view, courtesy of the Ruya Foundation.